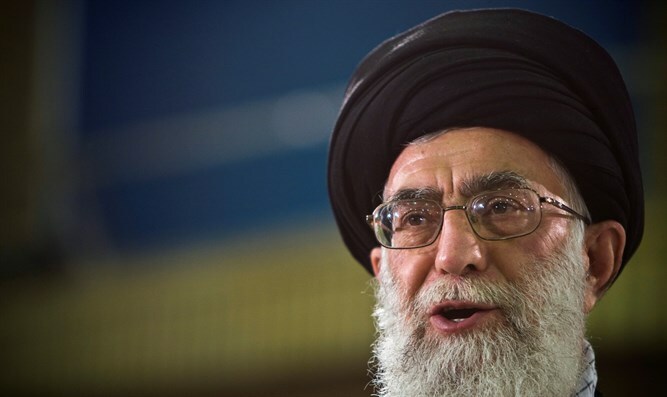 Iran's Supreme Leader blames United States for Middle East instability, says it created ISIS. Iran's Supreme Leader, Ayatollah Ali Khamenei, on Monday said that the United States is responsible for the instability in the Middle East and claimed that it was responsible for the formation of the Islamic State (ISIS) jihadist group. "You (the United States) and your agents are the source of instability in the Middle East...who created Islamic State? America ... America's claim of fighting against Islamic State is a lie," Khamenei said in a meeting with high-ranking Iranian officials, Reuters reported. The Iranian leader has long accused the United States and its regional ally Saudi Arabia of funding hardline Sunni jihadists, including ISIS, which carried out an attack in Tehran last week in which 17 people were killed. Khamenei also made clear on Monday that Iran had no intention of normalizing ties with the United States. "The American government is against an independent Iran ... They have problems with the existence of Islamic Republic of Iran...Most of our problems with them cannot be resolved," he was quoted as saying. "America is a terrorist country and backs terrorism ... therefore, we cannot normalize ties with such country," he charged. Khamenei consistently verbally attacks the United States, to which he refers as the “Great Satan”. He has insisted his country won’t negotiate with the United States and must stand strong against Washington on the region’s conflicts. Khamenei has also claimed that the “global Zionism network” dictates the United States’ and many EU members' policies vis-a-vis Iran.